Saturday was filled with much car test-driving. First Varen & I (gotta have a boy for this sort of shopping experience) headed to the Ranburg Renault to try out the Clio 3. What a disappointing experience. The guy we'd actually booked a test drive with was late - apparently he didn't know anyone had a test drive booked. Then he didn't "sell" the car to us at all, he didn't tell us a thing about the model or the bells, whistles and dials. So in I climbed to this completely foreign car and that was about as good as the experience got. Luckily I managed to get a chance to properly look round the interior when Varen drove it back from our half way point. Either way, I wasn't very impressed with the car interior (the one I really liked is about 20 grand more!) or the dealership. Scratch Renault off the list. Then after a quick lunch at Mochacho's (hey, it's the first time since I've been back, quite momentous! ), we headed to Norman's Toyota in Craighall Park to give the Yaris T3 a spin. This was impressive if only because it was the one test drive we hadn't booked and our sales-lady (Sharon) had a mad scramble to find a car we could take out - which she managed impressively on such short notice :) The Yaris was fine - it drove easily but the only issue is going to be the fact that the model with all the features of the C2 is a little out of my price-range. 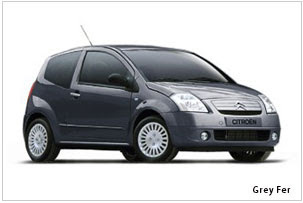 We're going to have to see what sort of deal we can get after adding things like smash-and-grab tinting, car kits and service plans (included for the Yaris, but not for the C2). The only other issue for me is going to be the interior ... which is really the bit I have to look at most, plus I'm quite happy with the exterior of both :) The C2 has quite a crazy interior (and I do mean crazy!) but the dash is fab (all in black, which is what I think they all should be) whereas the Yaris has all these cool hidden away compartments but parts of the dash (the middle and the arm rests) are in a white - what is that all about? So, I think we'll be getting quotes and what not during the week and then test drive them both again next Saturday and make the final decision, but I will tell you that the C2 is winning right now. We had a very lazy Saturday afternoon, in fact I slept for most of it after our early morning to get to the Renault test-drive on time, and in the evening we got a couple of dvds and stayed home. We watched The Messengers (Varen's choice of scary movie). The Messengers is a 2007 supernatural thriller film directed by the Pang Brothers. The plot of the film is about an ominous darkness that invades a seemingly serene sunflower farm in North Dakota, and the Solomon family is torn apart by suspicion, mayhem, and murder. Blegh, your typical scary movie type story ... which I can watch cause it was in the safety of my own home with the lights on :) Girl sees scary spirits, no one believes girl blah blah. Sheer mindless entertainment with a couple of scream-factors every so often - I hate when they make the dead people crawl up the walls and on the ceiling! 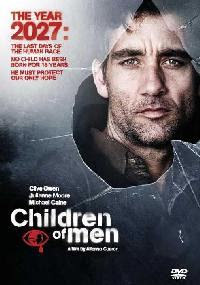 The second movie, after deciding to skip the dinner out we'd planned, was Children of Men. Set in an apocalyptic United Kingdom of 2027, the film explores a grim world in which two decades of global human infertility have left humanity with less than a century to survive. Societal collapse, terrorism, and environmental destruction accompany the impending extinction, with Britain, perhaps the last functioning government, persecuting a seemingly endless wave of illegal immigrant refugees seeking sanctuary. In the midst of this chaos, Theo Faron (Clive Owen) must find safe transit for Kee (Claire-Hope Ashitey), a pregnant African refugee.